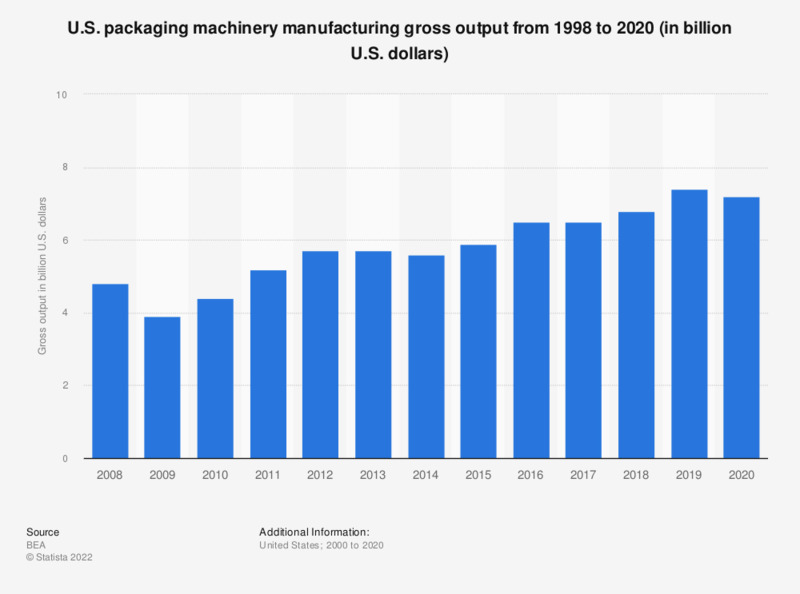 The graph depicts US packaging machinery manufacturing gross output between 2008 and 2017. In 2017, this sector generated a gross output of approximately 6.8 billion US dollars. All figures are given in current U.S. dollars.